Marco van Basten caused a stir this week when he revealed a list of radical proposals that could change the face of football. Among the FIFA chief officer for technical development's ideas were the introduction of a 60-game limit for players during a season, the replacement of penalty shoot-outs with eight-second run-ups, and the implementation of sin bins and orange cards. But as Premier League managers faced the media ahead of their weekend fixtures on Thursday, it was Van Basten's suggestion that the offside rule should be scrapped that really set tongues wagging. 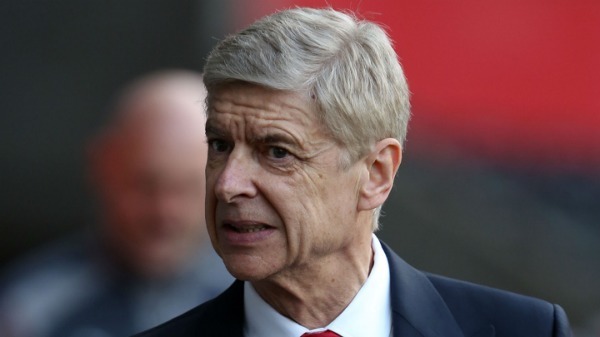 "Some of the proposals are discussable, some of them I don't see any big interest in," said Arsenal manager Arsene Wenger. "The one I don't find interesting is to suppress offside. I think offside is what makes the teams fit together, it's a big quality of the team sport, an intelligent rule. It's very important to keep that in the game. "People say football is too tight, too compact but the evolution of the game has always been like that." Everton boss Ronald Koeman played with former Ajax and Milan striker Van Basten at club and international level. "I've known for a long time that he is really curious about rules in football and looking to other sports for what we need to change to make the game better," he commented. "We will see what happens. I think the first and most important thing in my opinion is not to change offside, but to get really important decisions in the games right. "For that we need technology in football. I think that's the most important thing we need to change. And then we can discuss about offside, about penalties. "It's important to look to other sports to see what we can change, but I don't think we need to change a lot." Tottenham manager Mauricio Pochettino added: "I understand that sometimes when you are in a position you need to try to find ideas, but I don't want a system without offside. "If we play without rules, we have to be careful with that. I read some sentences but I don't know. "My first impression I think is, be careful. Because in football to change the rules is a very difficult thing."